We are sorry to see you downgrading to our Classic software (non- Linksys Smart Wi-Fi) on your Linksys Smart Wi-Fi Router. Your Linksys Smart Wi-Fi Router with Linksys cloud account software provides you a new way to experience your connected home and a growing ecosystem of apps. 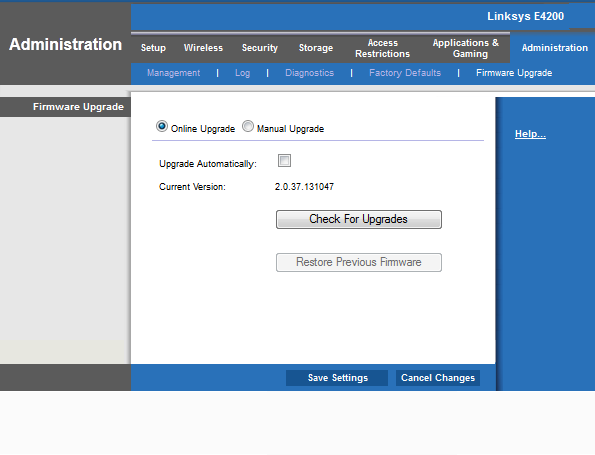 By downgrading your firmware, you are not able to take full advantage of your new Linksys Smart Wi-Fi Router. For more information about Linksys Smart Wi-Fi please see our FAQs by clicking here. The steps below will guide you to properly roll back the firmware of your Linksys Smart Wi-Fi Router to the Classic Router web interface. IMPORTANT: Make sure that all devices (e.g. printer, hard drive, USB storage) are disconnected before starting the rollback process. Download the Classic Router firmware (non- Linksys Smart Wi-Fi) and extract the file. In case you need help downloading and extracting the file, click here. You may also click on the respective links below to download the firmware of your router. NOTE: You may also need to download the Classic Router Setup Software to set up the router after the rollback. Disconnect the Ethernet cable from the Internet port of the router. Log in to the router’s web-based setup page. To do this, enter “http://192.168.1.1” or “myrouter.local” in the address bar of your web-browser. Enter the Router Password when prompted. NOTE: The default Router Password for Linksys Smart Wi-Fi Router is admin. If you change it during the initial setup, use the new password instead. If you forget your router password and lose access to your router’s admin page, you can try retrieving. For more information, click here. In the event that your router stops working (bricked), you may use the Trivial File Transfer Protocol (TFTP) utility to resolve the issue. For more information, click here. On the Linksys Smart Wi-Fi web-based interface, click the Connectivity Tool. In the Firmware Update section, go to Manual and click Choose File. You must be connected directly behind the router in order to see the Manual option. Select the firmware file you downloaded on Step 1 then click Open. Make sure you have extracted the compressed file first. If you need help extracting the file, click here. NOTE: Firmware extensions may vary. 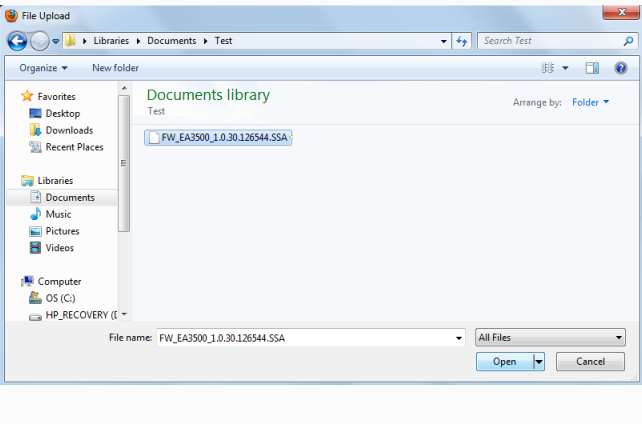 The common file extensions for firmware are .bin, .img, .ssa or .bix. Click Start to begin the rollback process. Once the Important prompt appears, click Yes. The firmware rollback process may take up to five (5) minutes. Do not power off the router or close the browser window. Wait until the router’s brand logo (for EA4500 and E4200v2) or Power LED (for EA2700 and EA3500) has stopped flashing. 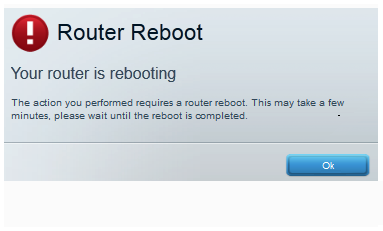 Click Ok when the Router Reboot prompt appears. NOTE: Once the router's brand logo or Power LED stops flashing, reconnect the Ethernet cable (which you unplug in Step 2) to the Internet Port. Close the web browser and open a new one. Access the page again by entering “http://192.168.1.1” or “myrouter.local” in the address bar. Enter the router’s username and password. 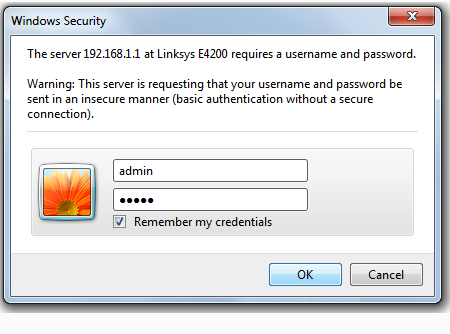 The default username and password of Linksys routers is admin. The Classic Router web interface will now display. On the Setup page, go to Administration and click the Firmware Upgrade sub-tab. Uncheck the Upgrade Automatically: option and click on Save Settings or Apply. Click Continue to reopen the page. Your router’s web interface is now rolled back to the Classic Router web interface. NOTE: If you experience any issues after the downgrade, you may require a reset. To reset your router, hold the Reset button on the back panel or at the bottom of the device for about 10-15 seconds. Make sure the router's brand logo (for EA4500 and E4200v2) or Power LED (for EA2700 and EA3500) has stopped flashing before you press the Reset button. 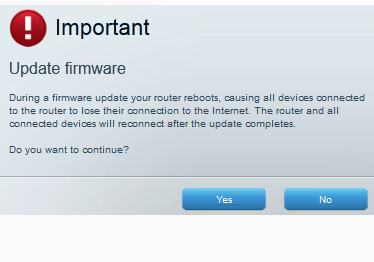 After configuring your router, make sure you uncheck the "Upgrade Automatically" feature (follow directions on Step 14).